Liris sp. (Square-Headed Wasp (nonspecific)). Size: approx. 8 mm. Photo: 08/20/11, 10 am. 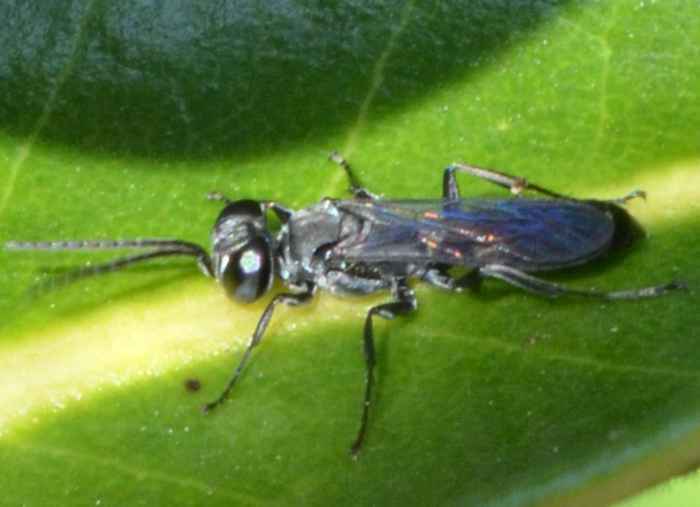 Not a good photo but the bugguide folks identified it as a Square-Headed Wasp (Liris sp.). North America has 15 (24?) species in this genus. L. argentatus is a shiny black species that is widespread in the US (p. 27, third link).